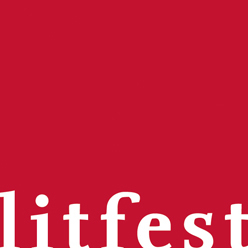 Litfest, Lancaster is a Lancaster-based literature organisation that has been presenting festivals and literature-based events since 1978 and is the third oldest literature festival in England. It has a long and varied history during which it has been supported by Arts Council England, Lancashire County Council and Lancaster City Council. Litfest has, in common with so many mid-range arts organisations, seen its funding base diminished and now benefits from continued support from Lancaster City Council. The organisation has re-imagined itself to adjust to these changes and is now led, managed and run by its volunteer board with some paid part-time support. Litfest is in a phase of re-development, re-focus and renewal; looking forwards to embrace new technologies and new visions. It is a time for new leadership and we are looking to appoint a Chair of the Board of Trustees to provide that leadership. The Lost Words Litfest Crowdfunder – Coming soon!